Quick and easy baked pumpkin spice doughnuts coated with either a sweet maple glaze or cinnamon sugar. Either way – they’re absolutely amazing! I have not made doughnuts for entirely too long. I bought a doughnut pan eons ago (or about a year) and have only used it once. 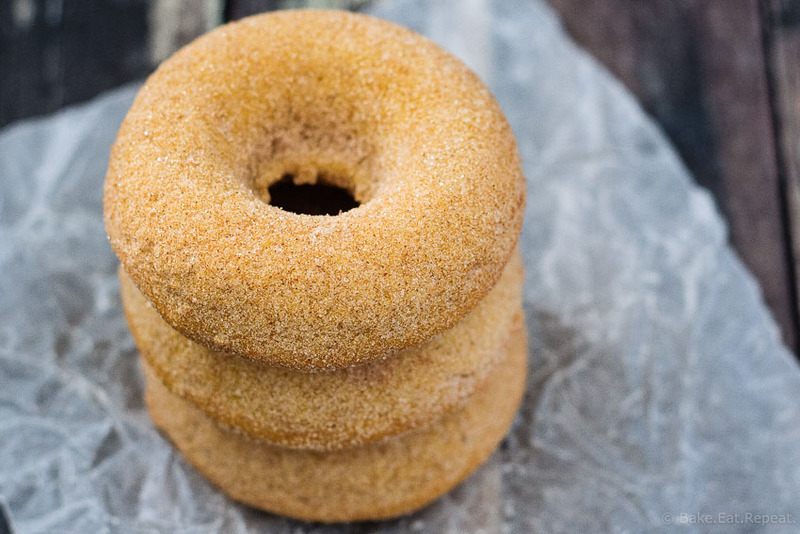 To make these wonderful banana bread doughnuts that we really, really loved. And then I forgot all about the doughnut pan as it sat in the cupboard and never got used. It’s sad really. Because we’ve been missing out on amazing baked doughnuts for all these months now and I have only myself to blame. I guess I always make muffins instead. Muffins are fast and it’s so much easier to fill the pan. Plus they’re perfectly fine without a glaze or icing or sugar coating them. Whereas I think doughnuts are just a little sad if they’re plain. Who wants a plain doughnut without any glaze or anything? Actually that’s a big lie. I quite like plain old fashioned doughnuts. But I’m pretty sure I’m in the minority there. Also, I don’t know if I’ve ever ordered a plain doughnut anywhere, because there’s always the option of chocolate. If chocolate is available you know that’s what I’m choosing. So yeah, I’ll stick with my original statement and say that plain doughnuts are a little sad. Long story short – I don’t ever make doughnuts because they take a little longer. But these baked pumpkin spice doughnuts are making me change my thinking. Because they are not difficult to make. They don’t take very long. The pan isn’t that difficult to fill. And glazing (or sugaring! I tried both) really didn’t take very long. 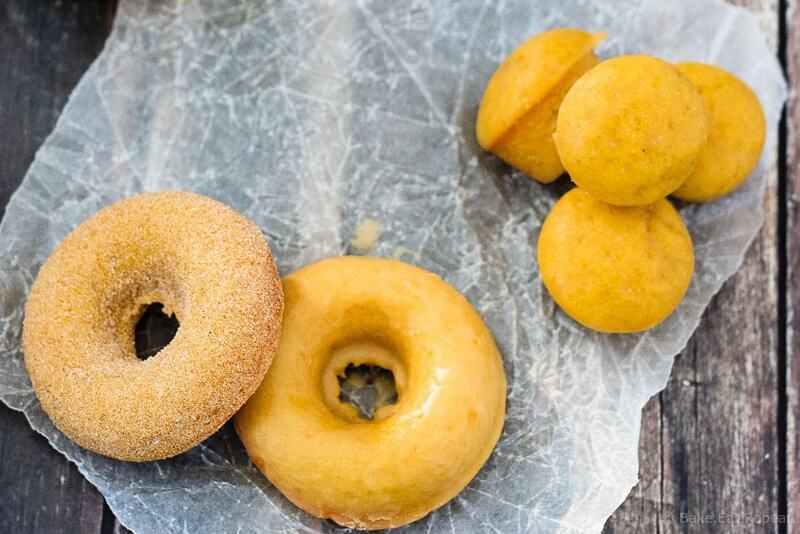 So there’s no excuse not to make some amazing doughnuts next time you’re craving one. These don’t even have chocolate, and I loved them. They do have pumpkin though, which is a pretty close second to chocolate in the list of things I love. Plus, a maple glaze is always a good idea. Or cinnamon sugar. They were both amazing. 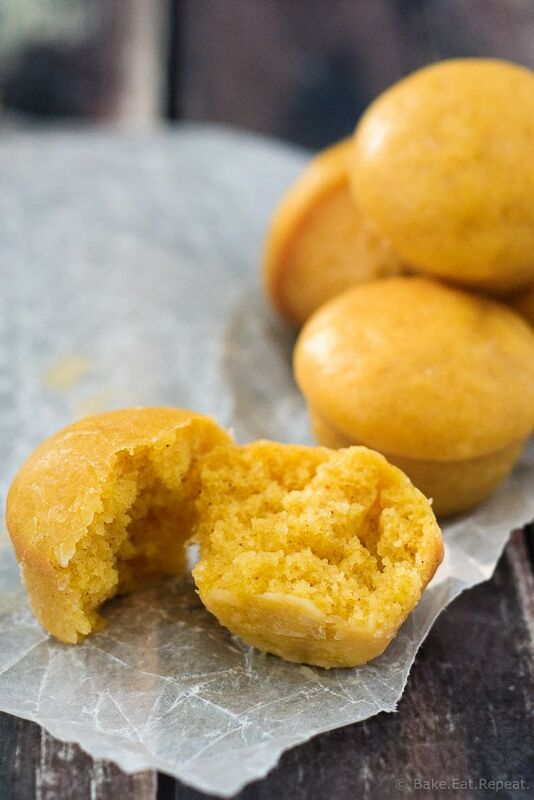 Even better, if you want just a small sweet treat – this batter works great as doughnut holes too – just use a mini muffin tin and you have cute little two bite doughnuts. Because then you don’t have to stop at one, right? 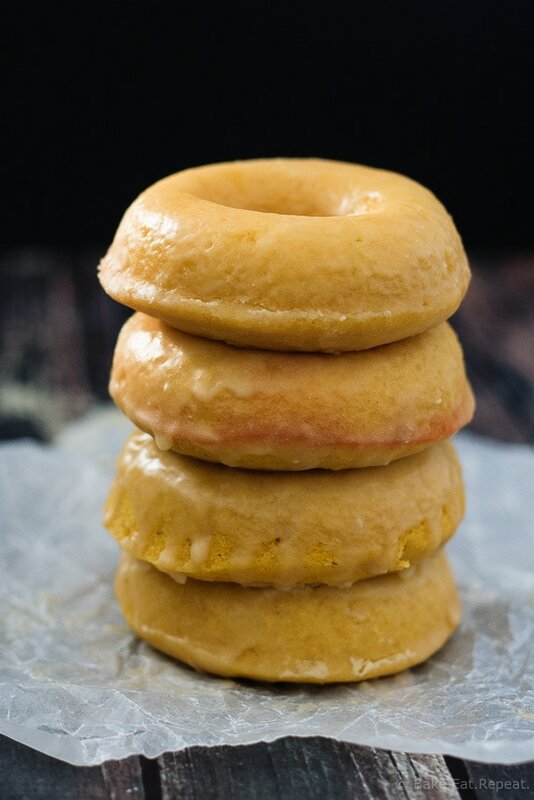 I’ve also shared this Baked Pumpkin Spice Doughnut recipe over on Food Fanatic. Yum!! I love using my donut pan... it just makes breakfast more fun, doesn't it?! These pumpkin ones sound awesome! It has been way too long since I've made doughnuts! This pumpkin spice version sounds phenomenal! I wish I had one to go with my coffee this morning! I just finished eating some pumpkin bread with my morning coffee - I never get sick of pumpkin things. So good with coffee in the morning! Thanks Jen! I try not to forget about my donut pan, but it has a habit of sneaking to the back of the cabinet. This is a great reminder to use it! I love donuts, and these look so perfect! It does tend to slide to the back doesn't it? I always forget it's even there! Thanks Mir!